Here’s how you can downgrade iOS 10.2.1 to iOS 10.2 firmware on iPhone, iPad iPod touch. Do this if you are hoping to jailbreak. Luca Tudesco revealed that he is currently working on an iOS 10.2 jailbreak. The jailbreak will arrive as part of an update to Yalu, but the sad news is that it might not support iPhone 7 or iPhone 7 Plus. So, if you are eager to jailbreak your device and have updated to iOS 10.2.1, then you might want to roll back to iOS 10.2 right away. Apple is currently signing the older firmware and it’s likely to do so for a very short period of time. 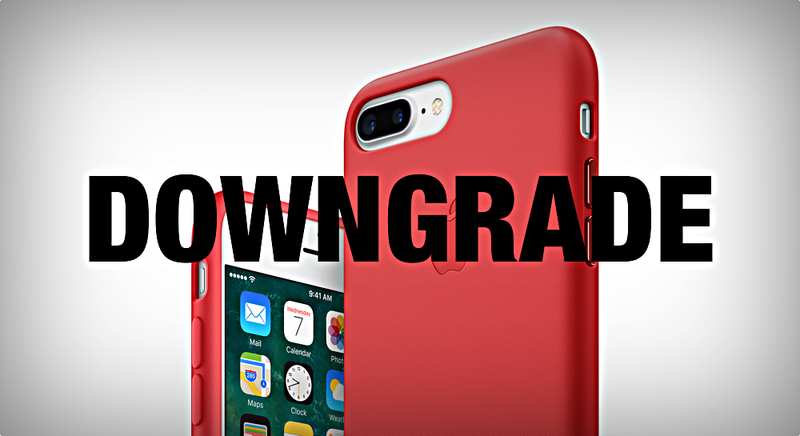 During that time period, you have the golden opportunity to downgrade your device to iOS 10.2. So without further ado, let us walk you through the entire process in a step by step manner. Please note that this process will erase everything off your device therefore take a complete backup using either iCloud or iTunes. Once that is out of the way, download the iOS 10.2 firmware file from this link. Please download the correct firmware file otherwise iTunes will fail to restore it on your device, forcing you to re-downooad from scratch. Once everything is set, follow the steps as they are. 1. Connect your iPhone, iPad, iPod touch to your computer using the supplied USB cable. 3. Select your iOS device from the top left hand corner of iTunes. 4. Now click on the Restore iPhone button while holding down the Shift key (Windows) or the left Option key (Mac). A new pop-up window will come into view. 5. Select the iOS 10.2 firmware file before the start of this tutorial and let iTunes work its magic. After a brief period of extracting, restoring and verifying your firmware, you’ll be left with a fresh sight of iOS 10.2. Set up your device as new or restore from a backup if you so desire. Once you are done setting up your device, all you have to do is start playing the waiting game and hope that the iOS 10.2 jailbreak arrives sooner rather than later. Given the progress Tudesco has made in the jailbreak world, we are expecting things to roll forward at a very swift pace. And don’t worry, we will inform our readers as well whenever the jailbreak arrives for iOS 10.2. Just make sure you do not perform anything fancy on your device until that happens.